Amputee demonstrates new bionic hand Jump to media player Elective amputee Patrick shows what he can do with his bionic hand and test a new hand with additional wrist movement. 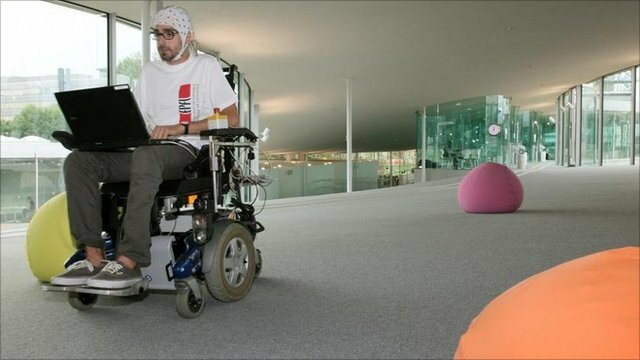 Man swaps hand for bionic limb Jump to media player An Austrian man who chose to have his hand amputated in favour of a bionic limb, shows how the limb has given him new movement. 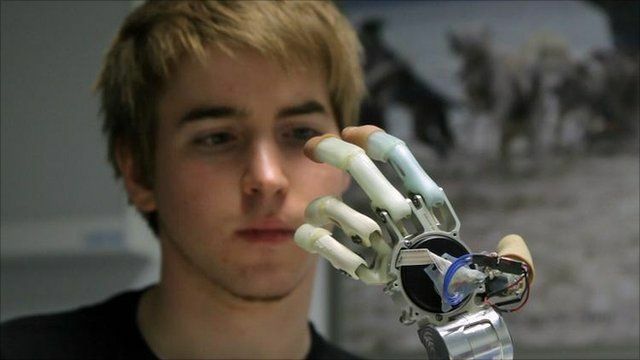 Last year, Patrick, a 24-year-old Austrian, decided to have his dysfunctional hand amputated and replaced with a bionic hand. He lost the use of his left hand after being electrocuted at work. Here he demonstrates the extra movement his new bionic hand has given him, opening a bottle and tying his shoelaces, and tests a prototype hand which will give him additional wrist movement.